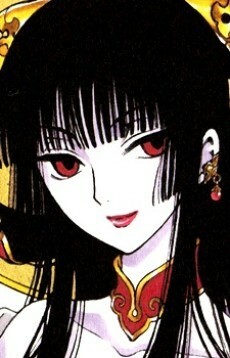 Being one extremely experienced in her industry, Yūko is not foolish enough to give away her real name like Watanuki. That aside, Yūko has served as a major catalyst for Watanuki's transformation, acting somewhat as his mentor. She loves to drink and eat Watanuki's wonderful cooking and dragging Watanuki on crazy outings at the drop of a hat. Despite this immature and free-spirited attitude, Yūko has been known to be sage-like and serious when the time calls for it. Yūko seems to know the true hitsuzen that Watanuki will follow, and has often offered cryptic messages to warn him of impending danger or a folk tale that he should take a bit more seriously. She also seems to truly care about him, making sure he is safe at night, sending the Kudakitsune (pipe-fox) with him for extra protection, or calling Dōmeki when he needs saving. Yūko is very powerful when it comes to magic and knowledge and is highly respected within the spirit realm. However, she doesn't often appear to get directly involved in things beyond whatever contact she has with those making wishes. Sometimes, she sends Watanuki to do jobs for her, such as when she granted a wish from Himawari. Yūko seems to take the role of someone playing chess when it comes to the big picture of things that are going on. In Horitsuba Gakuen, she is a ruthless principal, who always climbs into rooms through the window.